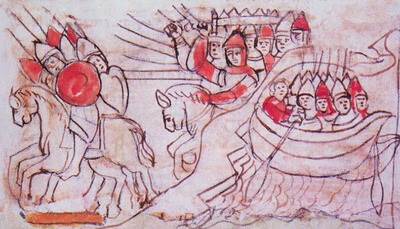 The holy right-believing Prince Vladimir Yaroslavich of Novgorod, the Wonderworker, was the eldest son of Great Prince Yaroslav the Wise, and was born in the year 1020. At age fourteen, his father made him administrator of Novgorod. 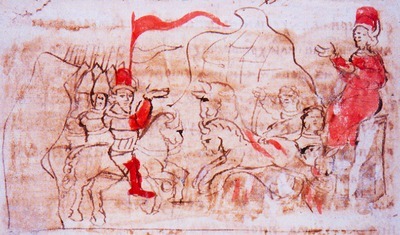 The military commander Vyshata and Bishop Menignus Zhidyata (Feb. 10) assisted in guiding the prince. When he matured, the prince became a brave defender of the land and a pious Christian. 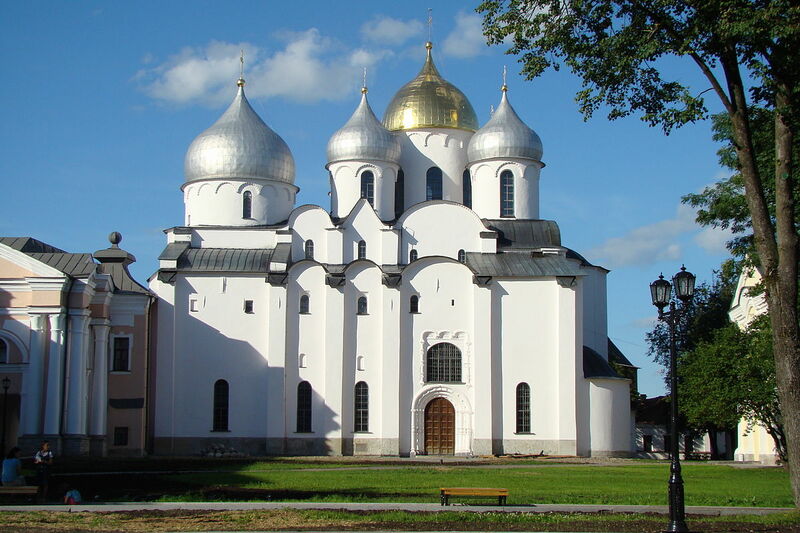 Saint Vladimir built the Sophia Cathedral at Novgorod, which was begun in the year 1045 and consecrated on September 14, 1052 by Bishop Luke. 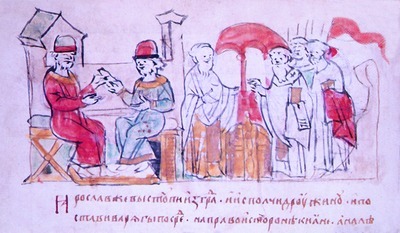 The holy prince was not only concerned about the strengthening of the princedom (by his decree a stone fortress was built at Novgorod) but he also zealously instructed himself in the law of the Lord. In 1047 the prophetic books with commentaries were copied out for him. 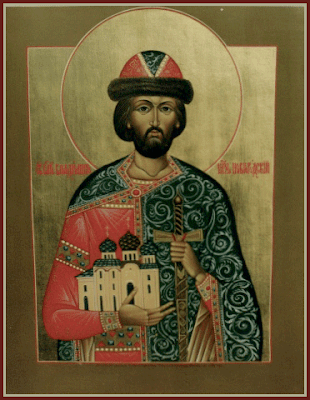 The holy prince died at age thirty-two on October 4, 1052, twenty days after the consecration of the Sophia Cathedral, and his relics were placed in the church he built. His wife, Princess Alexandra, is mentioned in the Novgorod Synodikon. Commemoration of the holy prince Vladimir was established in the year 1439 by Saint Euthymius, Archbishop of Novgorod (Mar. 11).